Want to access your business email, files, and more from anywhere? Join Alpine Communications for a free Business Lunch & Learn showcasing the many benefits of taking your business to the cloud. 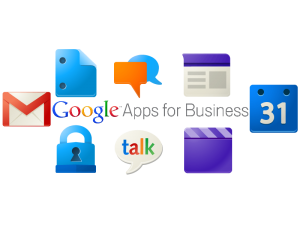 The presentation will include Google Apps For Business and will demonstrate how you can securely and safely reduce costs & risks while increasing productivity! REGISTER NOW and be entered into the drawing for a Nexus 7 tablet when you attend in-person or online. In addition to giving you the flexibility to work from anywhere, moving to the cloud eliminates the need for costly servers and licenses. It also frees up your employees to focus on more important tasks like growing the business! These simple and secure online tools allow you to focus your time and money on growing your business, not managing your technology. Plus, your company will do business with its own company email addresses (e.g. joe@yourbusiness.com), which will help customers remember your website and drive repeat business. To learn more about the cloud and how it can benefit your business, sign up for the webinar today! You can attend in person and receive a complimentary lunch or attend online. Don’t want to wait for the webinar? Call (563) 245-4000 today to learn how Alpine can help your business.